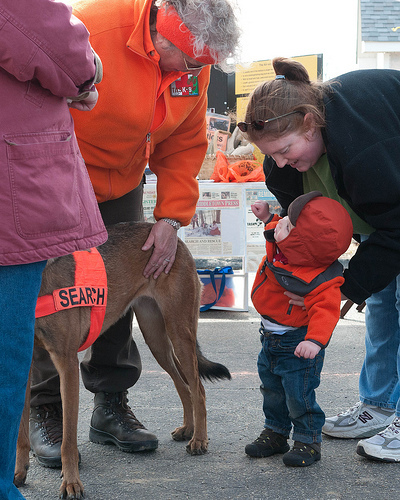 This past weekend we checked out the Hebron Maple Festival. We visited a sugar house and the center of town where lots of other activity was taking place — mostly groups selling maple-themed treats. Here Patrick is playing with a K9 search and rescue dog. He likes animals a lot, and is always excited to see our cats and the dog at daycare.